HSS Health & Safety Service have been involved with many small to large construction projects as a CDM Advisor since 2015 with many years experience also as a CDM Co-Ordinator. 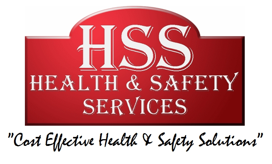 HSS Health and Safety Services have co-ordinated numerous large projects for the NHS, Lloyds TSB, MACE, InterServe and National Insurance Companies, to name a few. Our qualified professionals have acquired many years of experience in construction, civil engineering and industrial workplaces. Our professionals have attained qualifications to meet the health and safety industry standard set by the governing body, the Health & Safety Executive (HSE). Every project is now classified under CDM. 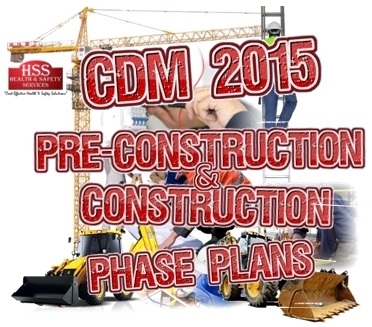 CDM 2015 has made significant changes to the way projects are managed. CDM now applies to all common building, civil engineering, construction work and now where domestic clients were not included, they now can be! Clients have duties on domestic projects which can be transferred to a Principal Designer or Contractor. Is The Project Notifiable To The HSE? You are required to notify the HSE of the project if it intends to last longer than 30 Working Days or involve 500 Person Days of construction work (eg. 50 people working on site for more than 10 days). Non-Notifiable Projects = Less than 30 Days and more than 20 Persons or involve more than 500 Person Days. Notifiable Projects = More than 30 Days and more than 20 Persons or involve 500 Person Days. Client – What Do I Need To Do Now CDM 2015 Applies To Me & The Project Is Notifiable? The CDM Co-Ordinator must notify the HSE closest to the project by completing a F10 Form. There must be a Designer, Principal Designer and/or a Principal Contractor appointed until the end of a construction phase. What Is A Principal Designer & Why Do I Need One? A Principal Designer should be appointed to advise the client on projects that last more than 30 days and 20 persons or involve 500 person days of construction work (eg. 50 people working on site for more than 10 days). The Principal Designer will advise the client on their health & safety responsibilities and any issues that need addressing during the design, planning & construction phases of a project. It will their responsibility to take into account all health & safety issues and design them out prior to commencement of work. The Principal Designer and/or client will need to complete the F10 Notification and send to the HSE. The Principal Designer will then be required to co-ordinate health & safety aspects of the design work and co-operate with others involved on the project, Liaise with the principal contractor regarding design, Produce a Pre-Construction Plan and a Health & Safety File. How Much Will A HSS Health & Safety Services CDM Advisor Cost Me? We offer very competitive rates for CDM Advisor’s. Unfortunately, there is no fixed fee as each project varies in size, time and requirements. Contact a member of the team on 01780 753773 to discuss your requirements further. Send us a quick email or use our contact form to provide information about your requirements and we will get back to you as soon as possible (usually within 12 hours).